Curious about The LIFE Business? Let me guess… a friend (yes, Facebook friends will count, too! ), a family member or perhaps a total stranger you just met at the mall or a book store have just shared with you a company called The LIFE Business, correct? Maybe they gave you a brochure, invited you to a presentation or loaned you some CDs, DVDs and books? And now, you are wondering what The LIFE Business is all about, or possibly considering becoming a subscriber to its products, or perhaps a authorized member so you can share the products and the business opportunity with others to earn additional income? If you are interested in only the LIFE products, this review is definitely a great read for you, although you may or may not need the in depth information about the entire company. LAST BUT CERTAINLY NOT LEAST… how to actually promote and expand the business. NOTE: To earn meaningful income with The LIFE Business opportunity, you must treat it as a real business. While The LIFE Business provides a business opportunity with impressive earning potentials, the sobering truth is that those LIFE members who do not treat their business like a serious business will make little, if any money at all, with the LIFE business opportunity. If you are serious at all about making it in the LIFE business, then you are probably eager to learn the secret-sauce that separate those that are making money from those that are struggling. And yes, there is a way to put YOU in the top 3% of the industry (not just The LIFE Business) while the other 97% continues to scratch their heads! The LIFE Business was officially launched on November 1st, 2011 in The United States of America and Canada by 7 powerful and top-earning couples in the networking industry. They are Orrin and Laurie Woodward, Chris and Terri Brady, Tim and Amy Marks, George and Jill Guzzardo, Claude and Lana Hamilton, Dan and Lisa Hawkins… and Bill and Jackie Lewis. Orrin Woodward and Chris Brady are both New York Times and Business Week best-selling authors. 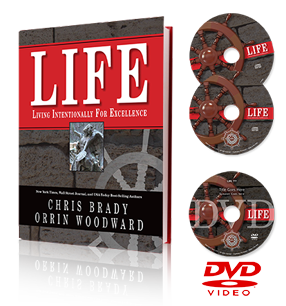 LIFE is a company that specializes in producing personal development and leadership training materials (CDs, DVDs, books, online streaming audios and videos and live seminars and conventions). The products are marketed and distributed through independent LIFE Members (i.e. distributors/representatives) with a multi level marketing compensation plan. One of the mainstays of the LIFE approach to personal growth is the development of tight communities that encourage people to improve their communication, leadership and people skills, among other core competencies. The LIFE learning programs follow the principles consistent with long term high achievement by utilizing small, affordable doses of information and truth learned and applied consistently over time. This is predominantly accomplished through the format of monthly subscriptions, which focus on the “8F’s:” the categories through which we live out our lives – Faith, Family, Finances, Fitness, Friends, Freedom, Following, and Fun. The first year results of The LIFE Business exceeded $50 million in sales. The LIFE Business compensation plan states a payout of 70% to the field. I have been personally informed that an income disclosure statement (IDS) will be made available shortly. Rob Hallstrand has been working with the cofounders of The LIFE Business for over 18 years and served as the CEO of LIFE since its inception (For more information about Rob Hallstrand please click here). 1. LIFE Series (Improved Life Skills), which includes 2 CDs, 1 DVD and a book each month for $50/month. Available in Spanish and French as well. 2. Leadership Series (Improved Leadership Skills), which includes 2 CDs, 1 DVD and a book each month for $50/month. 3. Faith Series (Spiritual Development), which includes 1 CD and a book each month for $25/month. *All corporate profits from this series go to our All Grace Outreach charity. 4. Edge Series (Youth Development), which includes 1 CD a month for $10/moth. 5. LIFE Library – LIFE’s latest and greatest personal development content in either video or audio format for $40/month. 6. LIFE Live – This is a cost-effective way to gain access to the LIFE local seminars and/or Webinars for $40/month. The LIFE business compensation plan is a traditional stair-step breakaway plan. Member Commission Bonus (Paid Monthly) – Based on team and retail subscriptions and sales volumes. Payout ranges from 5% to 50%. One-Time Cash Awards/OCTA (As qualified) – Earn $3,000 – $250,000 on each qualified new rank advancement. These awards are cumulative which means a higher award is added on top of a lower award as a member moves up in the ranks. Leader Bonus (Paid Monthly) – 8% of a breakaway team’s total volume. Leader Depth Bonus (Paid Monthly) – 4% of a depth leadership team’s total volume. Life Coach Awards (Paid Annually) – Build, lead, and develop teams with members of higher ranks. This is a profit-sharing pool of a percentage of the company’s total sales. For detailed explanation and examples of bonus calculation refer to the official The LIFE business compensation plan. 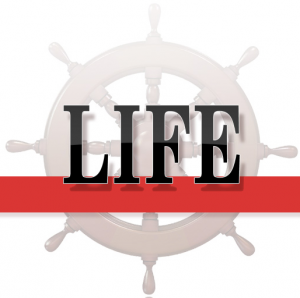 The LIFE Business review: What To Do NEXT? The LIFE Business is a legitimate and viable business opportunity… and in fact, I believe it is uniquely positioned in the direct sales industry with product offerings that can help anyone within the home business industry become better business owners, reduce attrition, increase retention and create better culture in their teams/communities/organizations. If you are already involved in a direct sales company yet still would like to take advantage of the LIFE products, you can choose to become a customer of LIFE without getting involved with the compensation plan as a member. The price of the products are the same for both members and customers. If you are interested in becoming a LIFE member, treating the business as a real business and becoming profitable, you must listen up right now. It consists of CDs, DVDs and print materials containing valuable strategies of the best networking leaders in the LIFE business. This information actually took a team of 1,000 to 215,000 within 5 years. The principles taught in LIFE Training stand the test of time, and the are proven to work extremely effectively in any network marketing business. That being said, there are a couple of key common denominators that will affect the outcome AND income of YOUR business regardless. The LIFE Business is no different. Multi level marketing compensation plans rely on duplication to produce explosive income. And duplication comes from productive actions and belief. And productive actions in the networking profession universally include building a names list (online or offline) and promoting and marketing the business opportunity or products to that list of people. Exponential growth will come from duplicating the process of having/building a list and marketing to that list. What do I do after I’ve exhausted my list of existing friends and family members? Years ago, I was faced with this very question. In fact, I exhausted that list of 130 some people in my first year… And I didn’t sponsor anyone out of that list (including my mom, my dad, my sister, my girlfriend at the time!!!). I turned to my team’s training system at the time, used “old-school” strategies to grow my list (similar to LIFE Training although LIFE Training is much more systematic and predictable). Shortly after hitting the top of the bonus chart in that company, I learned the art and science of marketing on the Internet via blogging, and it changed everything. Within a 19-month period, I built a list of just under 20,000 prospects, and 2,184 of them became paying customers or distributors of my team! And the best part about it is that you have access to WAY simpler and more effective tools to accomplish this right now. There is only one system that I recommend… a turn-key, proven, 100% generic system to generate leads and build a huge names list online that YOU can use for your own business whether you decide to join the LIFE Business opportunity or a different company. Click here to instantly access this turn-key lead-genration, list-building machine.